P1296. 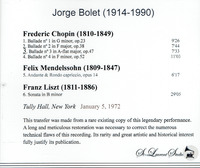 JORGE BOLET: Chopin, Mendelssohn & Liszt Recital (including a magisterial performance of the latter's Sonata in b). 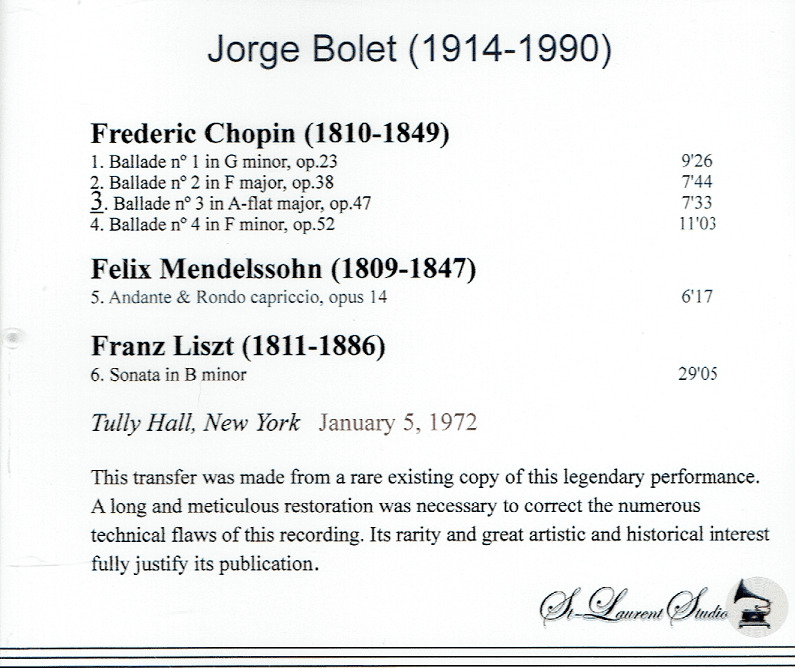 [A magnificent recital, but given the state of the duly appreciative audience one feels the provinces, not New York!] Transfers by Yves St Laurent. (Canada) St Laurent Studio YSL T-751, Live Performance, 5 Jan., 1972, Alice Tully Hall, New York. 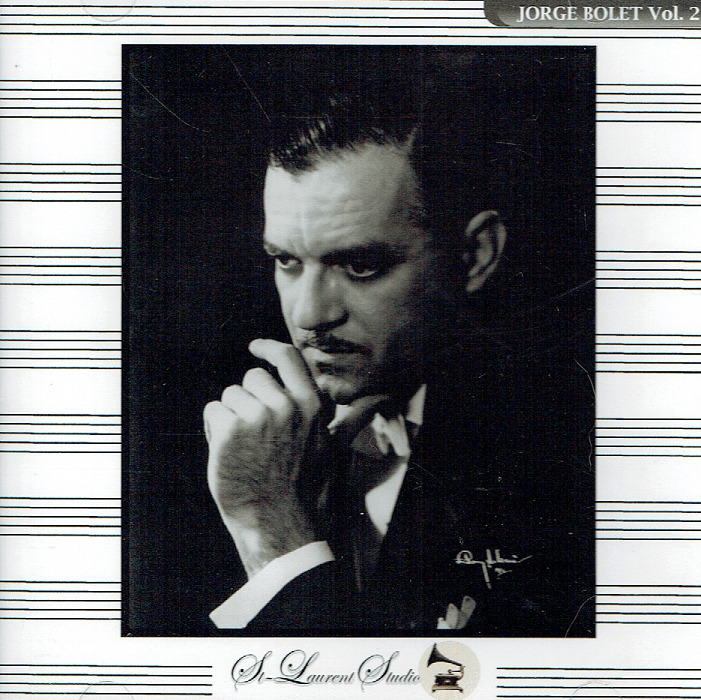 "Jorge Bolet, a Cuban-born virtuoso considered one of the leading contemporary exponents of Romantic pianism, last [played in] New York at Carnegie Hall on 16 April, 1989; his final performance was a solo recital at the West Berlin Philharmonie on June 8, 1989. Despite his accolades, Mr. Bolet had a peculiar career in that he did not achieve international success until he was in his 60's. From his days as a child prodigy at the Curtis Institute in Philadelphia, there never was a doubt about his phenomenal talent. His technique ranked with that of any living pianist, he drew a rich sound from the instrument, and he even won a major competition - the Naumburg, in 1937.